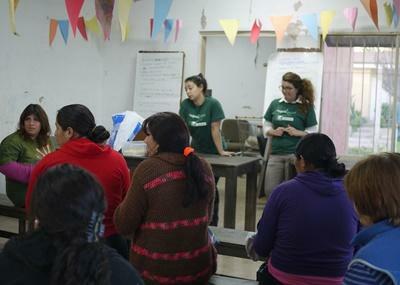 Project Abroad’s Human Rights project in Argentina is based in Córdoba and offers interns the unique opportunity to get involved at a grass roots level, raising awareness of human rights in a variety of marginalized communities or at risk groups. 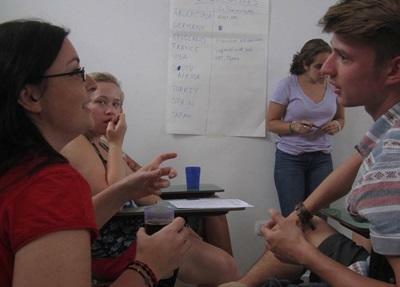 Humans Rights interns in Argentina work at the Projects Abroad Human Rights Office in Córdoba. The work is suitable for interns with a general interest in human rights, law students seeking an externship placement, and graduates and legal professionals seeking practical experience. The experience will serve to boost any resume while participating in worthwhile campaigns to advance change. Fully qualified lawyers or human rights professionals are welcome to join this project and will have an important role to play at the Human Rights Office. While knowledge of Spanish is not compulsory for this project, it does generally allow interns to get more involved and have a more worthwhile experience. If you are not confident in your Spanish, we recommend taking a Spanish Language Course before or during your internship. The Projects Abroad Human Rights Office is a professional organization with a demanding program, and as such must be taken seriously. The project requires interns with a strong interest in effecting positive change while keeping in mind the long-term aim. As a Human Rights intern you will be allocated work that meets your skills, interests, and preferences. Interns usually work with people or communities needing a wide range of assistance, and in some cases you may be working with abused and vulnerable individuals. Out-of-office fieldwork, including outreach projects with abused women and children’s shelters, non-governmental organizations (NGOs), and disadvantaged communities. Attending and planning for human rights related conferences, workshops, and public debates. The Projects Abroad Human Rights Office in Argentina recognizes the necessity for re-building peaceful societies and communities respectful of human rights values, justice, and human dignity and the need to promote and protect the human rights of all. The Projects Abroad Human Rights Office regularly performs educational and awareness-raising outreach work to tackle a variety of human rights issues. These may involve travel to rural communities, schools, and other local institutions to make presentations and provide training. We often partner with relevant authorities to address issues of domestic violence, intestate succession, offender's rights, child labor, child trafficking, and the right to education, to name but a few. In order to identify communities and individuals in need of assistance we perform human rights monitoring. This targets areas and facilities to identify abuses, determine their gravity, assess the needs of people affected, prioritize victims, and determine a strategy to bring about change. We also monitor facilities and activities of associate organizations to offer our most effective and efficient assistance. Such assistance may be in terms of personnel support, fundraising and financial assistance, or simply making recommendations. Victims of human rights abuses will often come to our attention through our open door legal service and consultations, our monitoring and awareness projects, and through referrals from associate organizations and individuals. In such cases, we will proceed to assist those victims as directly as possible rather than offering assistance in a community setting. While interns can join this project from 2 weeks or longer, we recommend that interns join us for as long as possible. Those interning for 2 to 4 weeks or sometimes find that it is not long enough to get as involved as they would have wanted to. However, if you show initiative and fully commit yourself to your work then you are able to get a great amount out of whatever length of time you spend here.